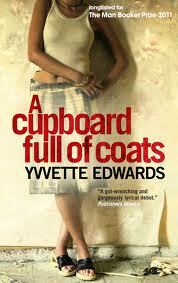 A Cupboard Full of Coats is Yvvette Edwards' first novel, and I'm happy to see that it was made available via an independent publisher, Oneworld . I went to their website and found a few more little gems I'm probably going to check out in the near future. I love that Indie publishers are represented on this year's Booker Prize longlist; let's hope that this is a trend that continues well into the future. A Cupboard Full of Coats is another one of those novels that I probably would never have read had it not been placed on the Booker Prize longlist this year. It skirts the boundary of what I consider "women's fiction," but at the same time, there's another story embedded within dealing with the experiences of Afro-Caribbean immigrants, so it's a bit difficult to affix any particular label to this novel. 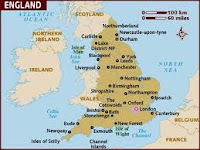 It has a very well-developed sense of place, and even the mentions of the food throughout the book add to the overall atmosphere of the story. The main storyline follows and is related primarily by the main character, Jinx, a young woman who works as a cosmetologist at a funeral home. She is living apart from her husband and her little boy, largely because she seems to have no capacity for caring for anyone. She's cold as ice, and even when her son comes for his visits, she has no idea how to relate to him. She's happier to be around dead people -- all of which stems from an incident fourteen years earlier when her mother was murdered in the family home. Throughout all of those years, Jinx has felt guilty about her role in her mother's death; that event and her guilt have left her emotionally paralyzed. Now, as the novel opens, it's all brought back to her in the person of Lemon, who wants to relive the events of the past -- all symbolized by the cupboard full of coats left behind by Jinx's mother. My feelings about this novel are a bit mixed -- I am not a huge fan of this type of story at all and it's tough to get past the fact that this is the story of a young girl who comes of age while living under the same roof as her mother's abuser. You know, the kind of stuff you could tag as dysfunctional family lit. And while I am fully conscious of the fact that abuse against women is prevalent and needs to be brought out into the open, those types of novels just aren't my thing. At the same time, I'm very interested in novels dealing with the stories of immigrants, especially about children born to immigrant parents, and that was the novel's selling point for me. The story of Sam, Jinx's best friend in high school, offers a look at the kind of dilemmas these children face, as does the story of Jinx's mother being left behind and finding a way out in marrying a much older man. I only wish there had been much more along these lines; for the most part, the past story (the story of how Jinx's mother came to be murdered) was much more interesting than the narrative occurring in the present. I also found Jinx as a character to be emotionally overwrought in that melodramatic sort of way that makes for great women's fiction, but a bit overdone for my own particular tastes. However, I will say that many people absolutely LOVE this book, and that 4- and 5-star ratings abound everywhere a rating can be given. And considering the fact that this is Ms. Edwards' first novel, it's a good debut -- and how many first novelists end up on the Booker Prize longlist? I'd probably give her next novel a go if it's more about immigrant experience and less women's fiction-y. This one is just a bit more mainstream than literary for my own enjoyment.